Everyone from Sarah Ballantyne to Terry Wahls to Chris Kresser recommend fermented foods as an important part of a healing diet. 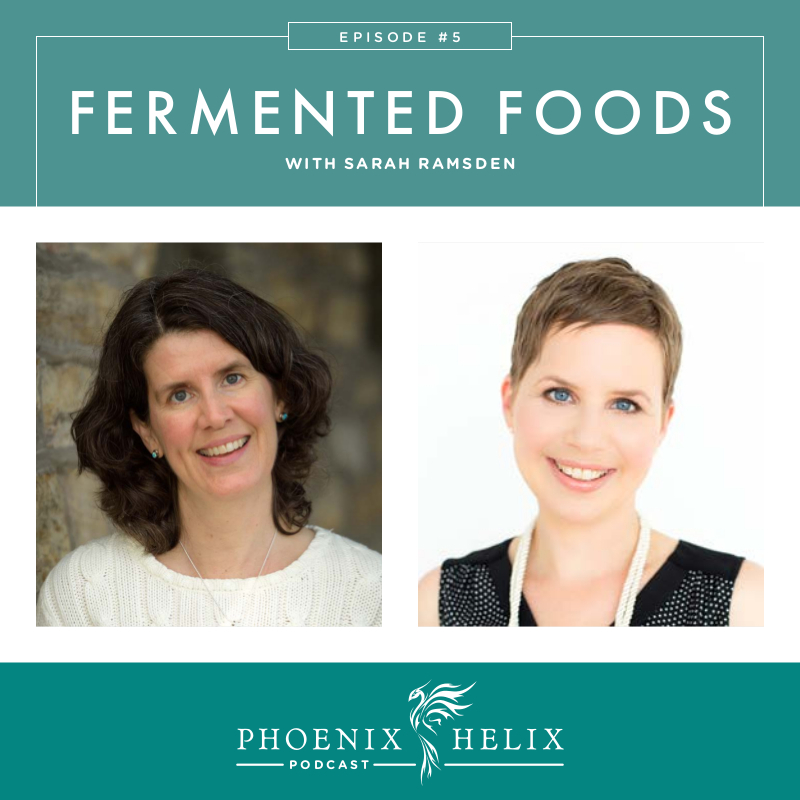 In today's podcast, I'm joined by holistic nutritionist and fermentation expert, Sarah Ramsden. We talk about why fermented foods are so beneficial, how they compare to bottled probiotics, what to look for when buying them from the store, recipes to get you started fermenting at home, and the reasons some people react negatively to fermented foods. 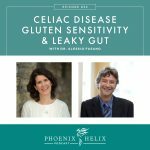 A holistic nutritionist who specializes in helping people with autoimmune and digestive challenges. Part of the Whole 9 Canada team, teaching health workshops across the country. Co-host of the YouTube channel, S&S TV, featuring videos that help you troubleshoot your health journey. Six years ago, after a very high-stress year, she was diagnosed with a brain tumor and multiple sclerosis in the same week. 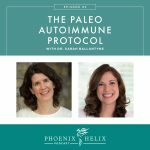 She had brain surgery to remove the tumor, and chose the paleo diet and lifestyle to address the MS.
As a child, she loved sour flavors instead of sweet, so was naturally inclined to love fermented foods. As an adult, she was introduced to home fermentation at a Weston A. Price conference, and it's been a love affair ever since. A food preservation technique that has existed for thousands of years, long before canning technologies or refrigeration. Every traditional culture has a tradition of fermented foods. We evolved to have a relationship with bacteria and yeast, and our bodies house 10 times more bacteria than human cells. They are involved in every bodily process, and we can't live without them. Now, in our sterile modern world, we're suffering from less diversity in those microbes, and are feeling the consequences in our health. They line our digestive tract with probiotics, which helps prevent leaky gut. They're an integral part of a balanced immune system. The process of fermenting foods creates the perfect environment for beneficial bacteria to multiply, while preventing the growth of harmful bacteria. Fermented foods have a wider diversity of types of bacteria, whereas probiotics often have higher numbers of bacteria, but with a narrow diversity. Our goal is to expand the diversity of bacteria in our bodies to receive the benefits from each type. If we eat a wide variety of fermented foods daily, at different stages of fermentation, we'll get the best diversity. The risk with probiotics is that they favor certain strains, and microbiome science is so new that it's unclear if it's always beneficial to consume high amounts of one or two types of bacteria, rather than a balanced blend. Quality probiotics are also significantly more expensive than home fermented foods. That doesn't mean probiotics never have their place. Ideally, a functional medicine practitioner can test the bacteria in your gut and see what is missing and prescribe probiotics accordingly. One brand Sarah Ramsden likes that is also recommended by Chris Kresser and Sarah Ballantyne is Prescript Assist. Update 2018: The formula for Prescript Assist has changed and is no longer recommended. GutPro is a good AIP-friendly alternative. One other benefit of probiotics is that they require no work to make. When someone first starts a healing diet and is feeling overwhelmed by the changes and extra cooking involved, probiotics can be a good choice for the first few months, until you're ready to try some home ferments. The best one for beginners: sauerkraut. You can also control the level of “sour”. 1 week in is going to be less sour than 4 weeks, and while 4 weeks might have higher numbers of bacteria, if you don't like the flavor and don't eat it, you're not going to benefit. So, it's fine to ferment to your taste. Favorite kefir: coconut milk kefir. A wonderful dairy-free yogurt/sour cream flavor replacement. Sarah recommends making it with water kefir grains instead of milk kefir grains. This ensures it's dairy-free. Soda replacements: both water kefir and kombucha are sometimes called probiotic “soda.” While the benefits of the probiotics are wonderful, these ferments still contain sugar, so keep your quantities moderate. Water kefir especially has a high sugar content. With kombucha you have the option of brewing it to a more sour flavor and reducing some of the sugar. With water kefir, it's so carbonated that the jar might explode if you try to do that. Advanced Ferments: Once you understand the principles of fermentation, you are only limited by your imagination. If you really want to take fermentation to the next level, you could try charcuterie, which is the art of fermenting meat. Resource: AIP Fermented Foods Recipe Roundup. Update 2018: Sarah's video classes are no longer available. To find “the real thing”, shop in the refrigerated section of a health food store and look for the words “raw” and “unpasteurized” on the label. Also, read the ingredient list. If vinegar is one of the ingredients, it's not a fermented food; they're using vinegar to mimic the sour taste of fermentation. Although kombucha is sold in the refrigerated section, many brands are pasteurized, so read labels carefully. This has been done to eliminate the potential for the kombucha to become alcoholic. Because storebought raw kombucha continues to ferment in the bottle, and a year+ can pass between bottling and sale, the alcohol content is usually higher than homemade kombucha. Two brands that are raw and still contain beneficial probiotics (and some alcohol) are Reeds and GT's Classic. Sarah recommends that you look for local brands of fermented foods and beverages, either at the store or your local farmer's market. They're often high quality and made by people passionate about fermentation. What about Bubbies? While many people love the flavor of Bubbies sauerkraut, it is briefly heated to make the jars more shelf-stable, which means that some bacteria has been killed off, and while some remains, the diversity will be less than a truly raw product. The jar is also 50% liquid, so you're not getting much sauerkraut for your buck. Storebought fermented foods have their place if you're traveling, or new to a healing diet and not feeling up to home fermentation. When you're ready, though, you'll save a lot of money by making them at home instead. The most common cause is gut dysbiosis – where your gut bacteria is out of balance and there are too many harmful bacteria and not enough beneficial bacteria. In this situation, fermented foods can cause a die-off reaction, where the beneficial probiotics you're consuming are displacing the “bad guys” in your gut. In this situation, lower your dose and start with a very small serving. That might be a tablespoon of sauerkraut juice to start, slowly increasing to a tablespoon of sauerkraut itself, and working your way up from there. 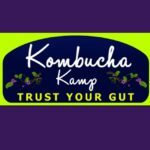 In this situation, it's not that the fermented foods are harmful for you – in fact they're quite medicinal – you just need to start with small amounts. 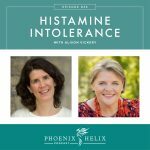 If you reduce the amount of fermented foods and you're still having a negative reaction, there are two less common possibilities: histamine intolerance or yeast intolerance. A good functional medicine practitioner should be able to help you identify the problem. In this situation a yeast-free probiotic might be your best choice. Update 2018: Sarah has moved onto other business ventures and is no longer offering fermentation classes or nutrition consulting. She's making a conscious choice to spend less time online.